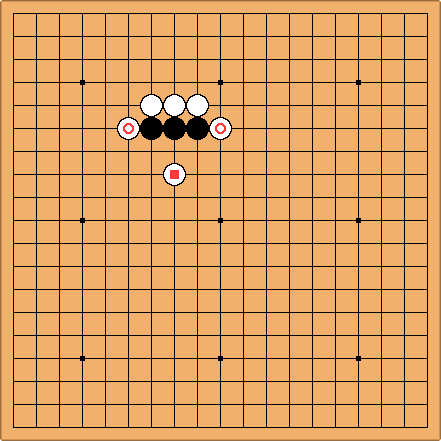 The three black stones are put under pressure here by the white stones (particularly the marked ones). is correct shape. This is the point known as the centre of the three stones. In reply to , Black builds good shape with and . 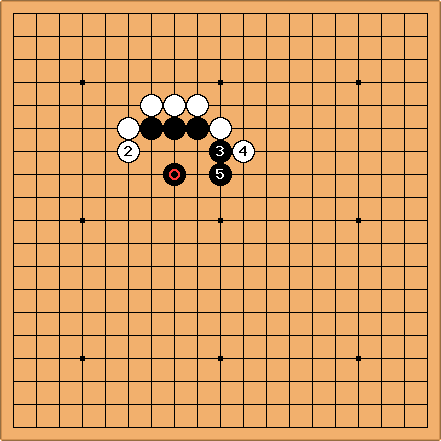 Despite White's hane plays, Black has organised an eye already. Black 1 here is less helpful. White is good, and nothing Black can do is as good a shape as in the previous diagram. After Black feels strongly the lack of a stone at a. Another clue to the vital point is that the stone makes an eye-stealing relationship with each of the stones.